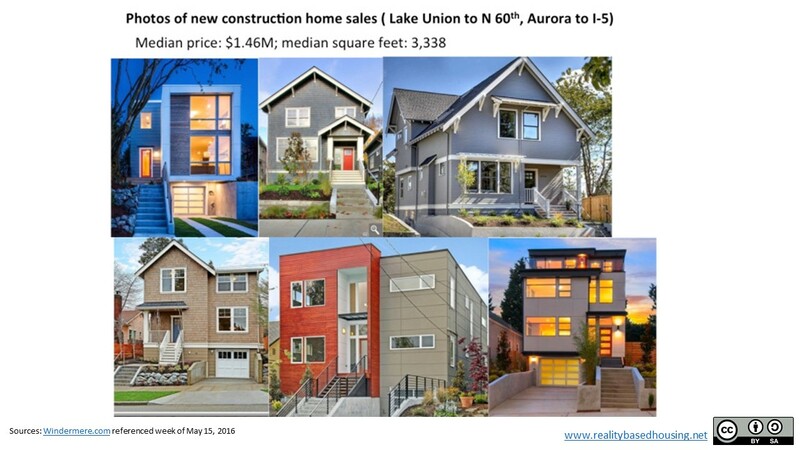 Single-family only zoning sets up a situation in which the lowest-priced old, small or rundown homes are being up-cycled into the least affordable housing: brand new, large single family houses. Under open zoning, some of these teardowns might be turned into duplexes, triplexes, or stacked flats that would not be any bigger but would be more affordable now and in the future—just like today’s the grandfathered multi-family. 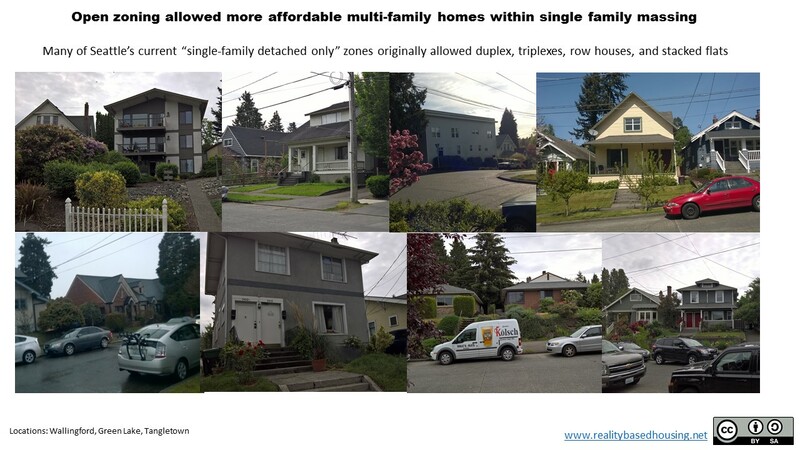 Two or three homes on a lot would be economically competitive with one big single family house. But with current policy and market conditions, those with less are locked in a losing race with those with more for whom the lowest end of the single family home market is worth more to them as land for a big new house. As in the suburbs, cities began to employ land use restrictions to limit the density of housing, impose lengthy approvals processes that provide ample hooks for NIMBYs, and mandate expensive forms of housing. Many of the country’s most desirable and most economically vibrant cities are no longer “Growth Machines.” They may be getting richer, and in that sense “growing,” but an emphasis on building housing and adding population is a thing of the past. Consequently, housing prices in these post-Growth Machine cities have risen much faster than the national average. The effect has been the same as in the exclusionary suburbs: The anti-development orientation of certain cities is turning them into preserves for the wealthy as housing costs increase beyond what lower-income families can afford to pay. The phenomenon deserves a similar name—the New Exclusionary Zoning.